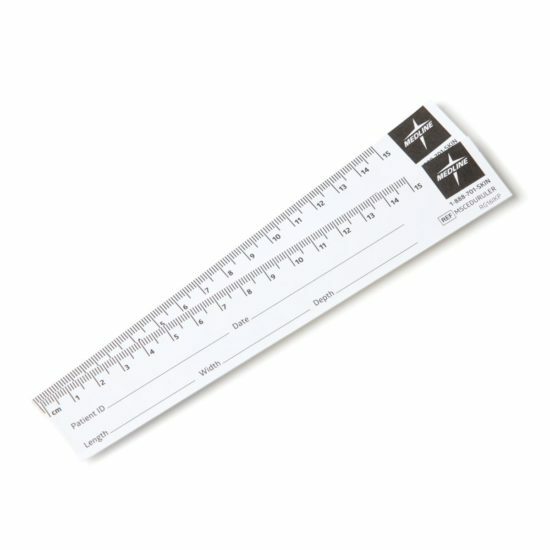 These disposable paper Wound Measuring Rulers use centimeters and millimeters to document wound dimensions. Each contains ample space for recording patient name, date, and length, width and depth of wound. Perfect for documentation used in photos of wounds.